A limited edition, antique gold tone brooch. 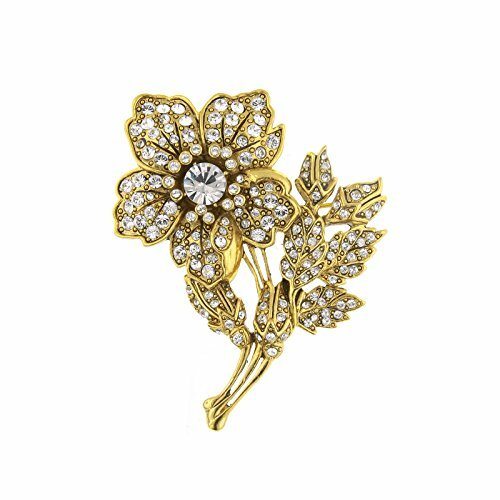 The petite flower brooch features genuine Marcasite in gold tone finish. Made in the US, all Vintage Couture is nickel free. If you have any questions about this product by Antiquities Couture, contact us by completing and submitting the form below. If you are looking for a specif part number, please include it with your message.